In January, I always enjoy reading the Economist’s World In Year X publication – which sets out their forecasts for big headlines under a number of categories. What I particularly like is their review of how correct their forecasts were and what they got wrong or missed out on. 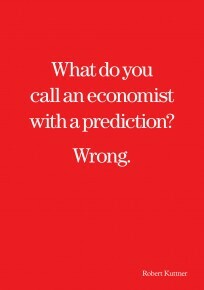 It’s always good to see this kind of honesty from economists! While many of the Economist’s predictions like these on energy and technology ideas are very relevant (though spot the prediction that’s already wrong in this article on growth), the Economist doesn’t have a “development” category. So I thought I’d set out a short list, which I will, like the Economist, review in a year’s time. I think we might learn a lot more about cooperation between developing countries this year. DFID recently launched a research call on Chinese cooperation in Africa, building on a 2012 Brazil and Africa call. But there is a lot more work happening on this beyond DFID. In particular, China will release its second ever White Paper on aid. The first was released in 2011. Since then there have been several independent reports about the scale and direction of Chinese cooperation with other countries, but this will give an update from the government, and perhaps more information about its strategy going forward. From the UK, more aid will be spent on programmes that deliver economic growth in developing countries. Other countries are making similar shifts. So expect more announcements of results around infrastructure development, financial development and business start-ups, in addition to traditional results – such as on health and education. Whatever results aimed for, there’s likely to be further discussion on the pros and cons of indirect versus direct forms of giving – covered well last year in the radio programme This American Life. In April, Mexico will host the inaugural meeting of the Global Partnership for Effective Development Cooperation (GPEDC) – bringing together governments, businesses and other non-governmental organisations to find ways to work together better to end poverty. I do have insider knowledge as I work on the GPEDC – but I think we’ll see quite a few new initiatives launched – possibly similar to this water partnership launched by Matt Damon and others a few weeks ago. We’ll also see some healthy in-depth debates (which no other international forums really cover) around big dilemmas such as what tools the international community should use to help tackle poverty in middle income countries, or how global tax rules can shift to better support development. The balance here will be in summarising consensus on these debates in the GPEDC’s first ever communique – but in the meantime it’s worth visiting the GPEDC blog to see the debates build up. In September, the UN Secretary General will host a Climate Summit to support formal negotiations in Lima in December 2014 and Paris in December 2015. The careful balance to strike will be between building momentum and optimism by strengthening practical action on energy use and deforestation, for instance, and raising expectations– so as to avoid a crash in Lima or Paris of the kind many felt took place in Copenhagen in 2009. Perhaps the most careful balance of all will be around the release of various documents on the post-2015 development agenda, including for negotiation by governments in the UN. A huge amount of work went into generating ideas for this last year – including the report from the High Level Panel which proposed 12 goals and 54 targets. If my experience in UN negotiations is anything to go by, I’d expect a much longer list for formal negotiation – but don’t ask me to give a specific number! I’m looking forward to reviewing these predictions in a year’s time, and to your predictions too. You might not agree with mine or think I’ve left some out – but I’m sure we can all be pretty certain that 2014 will be a busy and complex year.